Last month, Meg Fowler wrote a post that listed her reverse bucket list. Whereas a regular bucket list would describe the many things that you want to see, do, or accomplish before you die, a reverse bucket list describes the things that you have already done and, looking back, make you smile. It is true that we can spend a lot of time daydreaming when it comes to our bucket lists and this can help to motivate us, pushing us toward making plans, taking risks, and getting those things done. At the same time, we have to remember to look back too, recognizing the accomplishments that we have already achieved. This really helps to put things into perspective. This was one of the items on my international travel bucket list. Ever since I was little, I wanted to travel to Australia and I was able to do that last year. While there, I had the opportunity to hold a koala (see above), hand-feed wallabies and koalas, and visit the Australia Zoo made famous by “Crocodile Hunter” Steve Irwin. Hiking through the Outback was exhausting, particularly with the early morning wakeup calls, but it was an experience I’ll never forget. There is a definite sense of accomplishment and an air of legitimacy when a writer can say that he is a published author. I achieved that milestone two years ago when Make Money Online, a book a co-authored with John Chow, was officially released. I still have some signed copies, if anyone is interested. 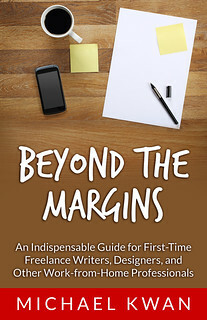 Related to the launch of the book, I was invited (along with John) to be a featured speaker at Freelance Camp. We talked about why blogging is important to all freelancers, as well as how to make money–both directly and indirectly–from having a blog. I’m generally not one for public speaking, but again, this was an experience upon which I can look back with pride. I like food. I like trying new food. I’ve had a $60 foie gras burger, just as I’ve had great ramen from a Japanese truck stop. One unique culinary delight was when I ate live lobster sashimi at Dai Masu in Vancouver. The meat was still twitching a little and the feelers on the head moved ever so slightly. Some people may say this is cruel, but my guess is that the lobster wasn’t really “alive” by the time it reached the table. I’ve been to Canucks games and I attended a couple Grizzlies games while they were still in Vancouver, but none of those had the same kind of crazy atmosphere as seeing a live NFL game. The constant roar of the Seattle Seahawks fans at Qwest Field (now CenturyLink Field) is incredible. I can’t imagine what it’d be like to go to the Super Bowl. Making money, going out, and eating fine food are all well and good, but it’s also important to consider the needs of your fellow man and the rest of society. That’s why it was so rewarding to volunteer at Mount St. Joseph’s Hospital one summer, helping with the physical therapist in the extended care unit. I like to think that I made a difference, however small it may have been. If I were the same person even a couple of decades ago, I don’t think that I would have been able to establish my freelance writing business the way that I have. It’s much more likely that I would have taken a more conventional career path, rather than taking the chance on self-employment. The rise of the Internet was easily one of the biggest factors that facilitated this opportunity. I am proud to be an entrepreneur. This was a long time coming, as was my marriage, but now I can mark off two of the biggest milestones that someone can have in his or her life. It’s not free and clear just yet, since I do have a mortgage, but we’re prepared to tackle this one step at a time. What about you? What do you feel are the biggest milestones and accomplishments on your reverse bucket list? Interesting read. Especially since I blogged about my feelings about bucket lists yesterday! Cool. I checked quite a few of my travel ones off but then new ones just take their place. I don’t have a reverse bucket list, but I do keep Thank You cards and emails that thank me for my effort when I do something. At times when I am stressed or just down on myself I pull those emails and cards out to see how I have positively affected others. It changes my mood and how I feel at the moment. Being a multi-sport sports fan, some items on my bucket list involves travelling overseas to watch EPL football game, and to watch a World Cup football game in the host country. Unfortunately, for financial reasons, those events remain unchecked on my bucket list. However, I was fortunate enough to have attended a F1 Grand Prix race when it was held in Singapore. Quite a lot of things you have checked off your reverse bucket list! I too want to hug a koala bear some time. I heard they are very dangerous animals though. Are they declawed or defanged before allowing tourists to touch them or are they just tamed enough for it to be safe? Wild koalas can be quite vicious, but the ones that they have in the zoo are incredibly calm and tame. They still have their teeth (they have to eat!) and their claws (they have to climb! ), but they’re incredibly mellow.